Branding is something that a lot of companies seem to take the “set it and forget it” approach with. But times are always changing. Your business is changing, your customers are changing, and the way you communicate with one another is changing too. With that in mind, it only makes sense that your brand should change and evolve too. 1. It doesn’t reflect new products and services you offer – You may have started out as a web design company but now you’ve grown into a full-scale advertising agency. If so, you still shouldn’t refer to your company as a web design company. You need to change the branding to reflect your new services. This educates your target audience on what you really do, helping you get more leads and sales. 2. Your logo just looks old – You can just tell when a logo was designed several years ago. Today’s graphics just aren’t the same as they were 10, 20, 30, 40, or even 50 years ago. While there is something to be said for the trust an established brand enjoys with consumers, an old logo can just make your company look out of touch. The good news is you can probably update your logo by just tweaking it, rather than completely redesigning it. Just take a look at Coca Cola. There logo slightly changes every few years, but it never loses its basic essence. 3. You have a new target audience – Maybe you’ve gone from helping small businesses to now targeting large, international corporations. Whenever you change your target audience, you need to update your brand so it better connects with your new ideal customer. 4. Your customers have a completely different perception of who you are – Sometimes, you’ll put a lot of effort into building a certain brand image only to find out that your customers view you in a completely different light. One example of this is when Federal Express made the switch to FedEx because that’s what their customers called them. Survey your target audience to find out how they really see you. Do they have a different name for your brand? Which benefit that your company offers do they find most important? 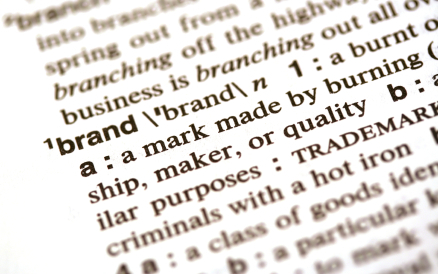 When’s the last time you really looked at your brand? Is it time for an update?